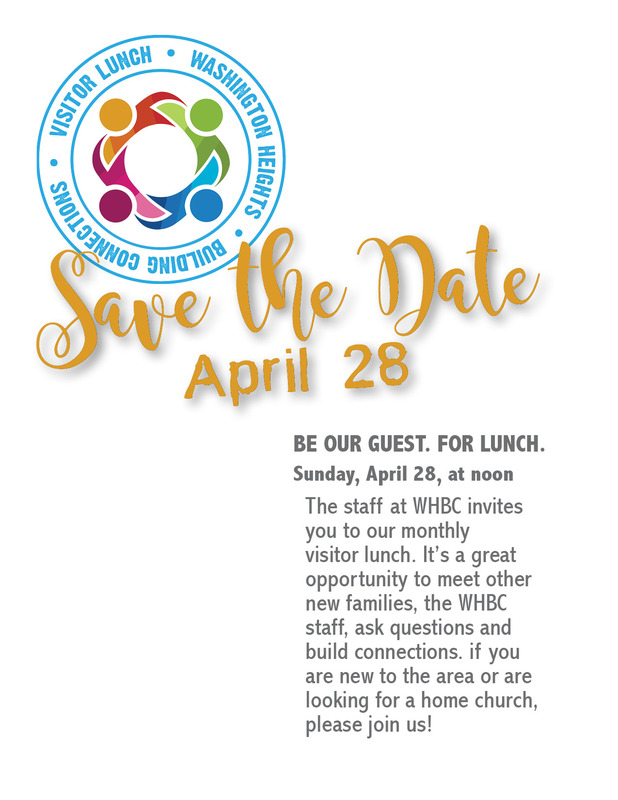 If you're new to our church or have recently visited, we invite you to get to know more about us, meet some of our staff and connect with others at WHBC by attending our next Welcome Lunch. Please bring your family to this free lunch on April 28, at noon, in the Dining Room. If you have any questions regarding the Welcome Lunch or WHBC, please contact theheights@whbc.org.